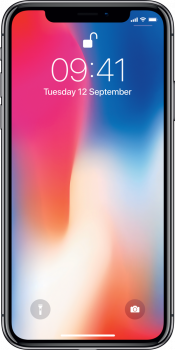 Featuring an eye-popping new design, iPhone X is Apple’s most advanced handset ever. Rocking a massive screen that stretches edge-to-edge on the front, this super-smart device also rocks a True Depth camera, face-recognition security, and animated emojis. 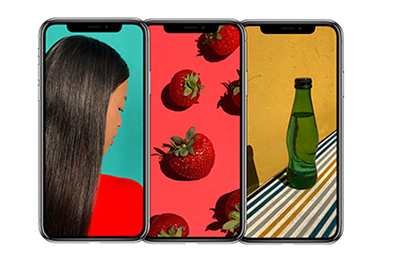 iPhone X showcases a ground-breaking redesign, which debuts a whole new look for the iconic range. The perfect partner for Netflix box sets and movie marathons, iPhone X’s impressive Super Retina OLED display stretches from edge-to-edge for maximum entertainment. The screen has High Dynamic Range, which makes your whites brighter and blacks darker. The screen is Apple’s largest to date, measuring in at 5.8 inches for a bezel-free appearance. 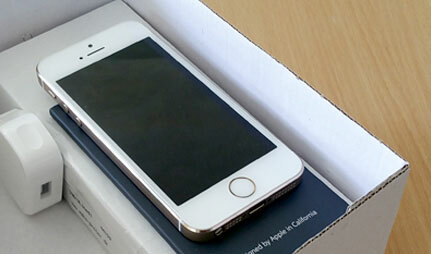 At 174 grams, it’s 26 grams heavier than the iPhone 8, due to a durable design of glass and aluminium. 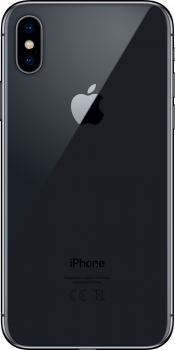 This stylish and sturdy iPhone is also IP67 certified, meaning it’s splash, dust and water resistant. The iPhone X 7MP front-facing camera delivers amazing quality selfies with lots of tech behind the lens. Equipped with True Depth technology, this super-smart sensor offers studio quality results thanks to Portrait Mode with Portrait Lighting. The vertical set-up on the 12MP main camera is optimised to produce stunning shots, with optical image stabilisation and 10x optical zoom on both lenses. Whether you’re enjoying next-generation apps and games, or love taking outstanding photos, this next-generation lens is the most advanced iPhone camera to date. 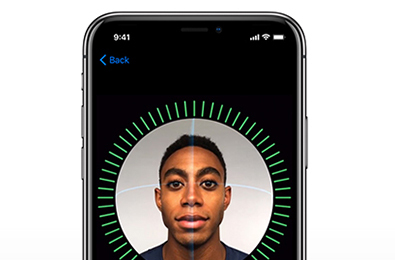 Unlock your phone with new and exciting tech, courtesy of Face ID on iPhone X. Fast, easy and reliable, the face-recognition feature offers an extra layer of protection to keep your content safe and secure. Utilising iPhone X’s True Depth camera, this impressive feature uses infrared to scan your face in millionths of a second. 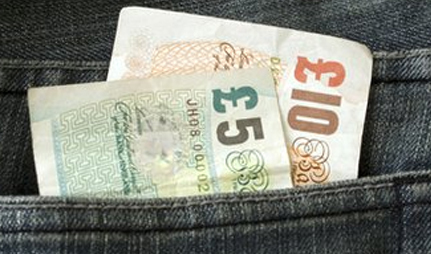 You can also use Face ID to go shopping, authorising purchases on Apple Pay with nothing more than a glance. 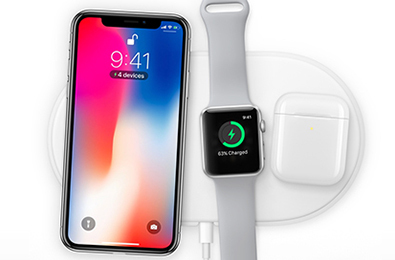 Packed with amazing features, iPhone X also boasts Air Power wireless charging with any Qi docking station, which charges 50% of your battery within 30minutes. Expect up to 2 hours improved battery life compared to the iPhone 7.Powering iPhone X, there’s the A11 bionic chipset with embedded M11 motion coprocessor to keeping everything running smoothly, as well as iOS 11 for streamlined performance. iOS 11 is jam-packed with exciting new upgrades and features, such as Animoji. Making use of that advanced front-facing camera, you can now animate your favourite emojis using your own facial expressions, providing an impressive new way to interact with your friends. 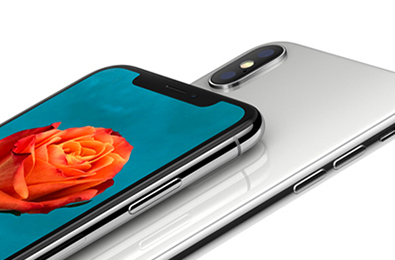 If your time is up on your current contract, why not grab your new iPhone X as an upgrade, and carry your existing number across? If you don’t fancy a contract or upgrade, you could always buy your iPhone X SIM free,in one single payment. If you’re looking to save a some extra cash, keep a look out for iPhone X refurbished deals, arriving in the coming weeks.